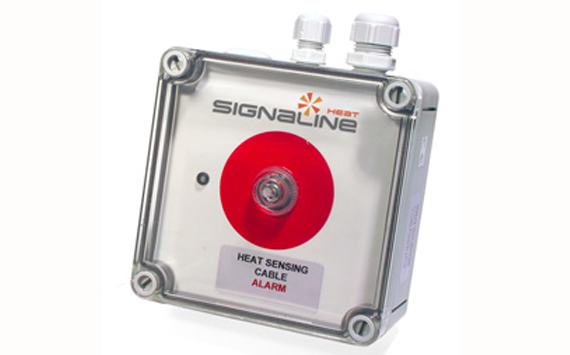 Automatic Protection Limited are now offering the Signaline range of linear heat detection systems. Signaline heat sensing cables are conventional heat detectors in a linear form, providing early detection of fire conditions or overheating of equipment, plant or the surrounding area. The cables sense heat anywhere along their length and are designed to be used in commercial and industrial applications, such as cable trays, plant rooms, car parks, conveyors, tunnels and marine engine rooms. They are very cost effective, easy to install and are maintenance free. They can also be used in intrinsically safe areas and dusty or harsh environmets down to -40°C. Two types of Signaline linear heat detectio cable are available; Fixed Temperature (Signaline FT) and Analogue (Signaline HD). Signaline FT is available in three different alarm temperatures, 68°C, 88°C or 105°C. All are UL Listed and FM approved and have two outer cover options. 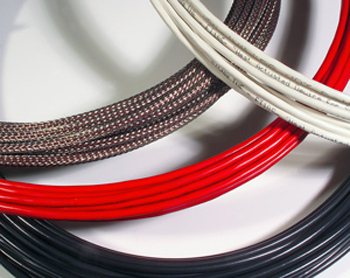 A high temperature cable of 178°C is also available to provide a full range of fixed temperature heat sensing cables. They can be used as a standalone system or connected to any conventional control panel covering up to 3 km in a single zone. 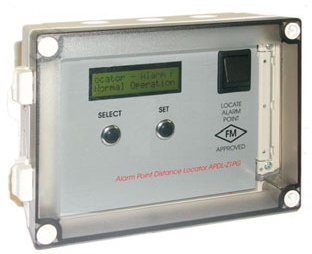 An optional Alarm Point Distance Locating (APDL) device can be installed between a fire alarm control panel or addressable module and a single length of Signaline FT heat sensing cable to display the distance to the alarm point. 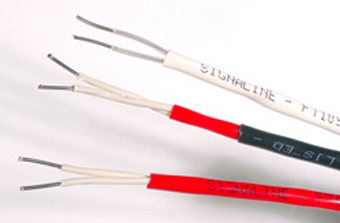 Signaline HD is an analogue heat sensing cable that monitors significant increases in temperature and provides an early warning of fire. 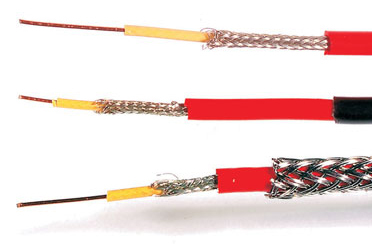 The cable is fully resettable and is VdS approved to EN 54-5:2001 and EN 54-17:2001. The Signaline HD cable works in conjunction with a controller and end of line unit, which enables the cable to be fully monitored for open and short circuits. The controllers are equipped with volt free fire and fault relays that are connected to the fire alarm conrol panel via a simple interface unit. Alternatively the controller can be used as a standalone device using the relay contacts to activate subsidiary equipment.